Creative Jesus-figure Alex Bogusky, co-chairman of Crispin Porter + Bogusky and the man behind Denver’s B-cycle bike sharing program, has come up with a simple way to make the world understand the seriousness of climate change. Rather than blinding people with science, he reckons the climate change lobby needs to do one thing in order to get its message through to an audience: simplify its message. Social network Design 21 is running a video challenge called Living Climate Change alongside IDEO that encourages people to make a video to show just what global warming will do to the world. 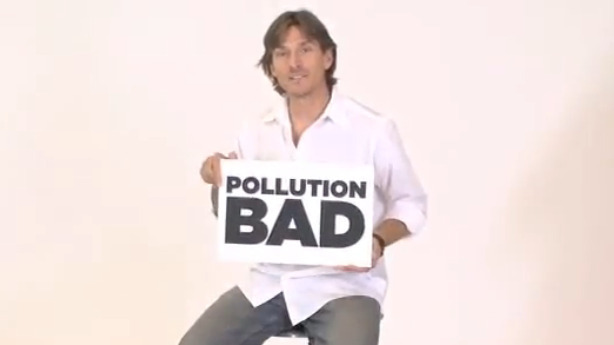 Bogusky’s entry is entitled Stop–how much more simple could that be?–with this message: Pollution=Bad, Clean=Good. The Boulder resident starts at a point that everyone understands, referencing the famous Crying Indian PSA from the 1970s. From there, he moves onto litter, an issue that everyone gets–because it’s the most obvious form of pollution. “Pick up the damn box,” says Bogusky. And if you like what you see here, check out the clip below of Bogusky speaking at our recent Innovation Uncensored conference.